Arrive in San José where you will be met by a Globus representative. DAY 2 SAN JOSÉ–TORTUGUERO NATIONAL PARK. DAY 3 TORTUGUERO NATIONAL PARK. 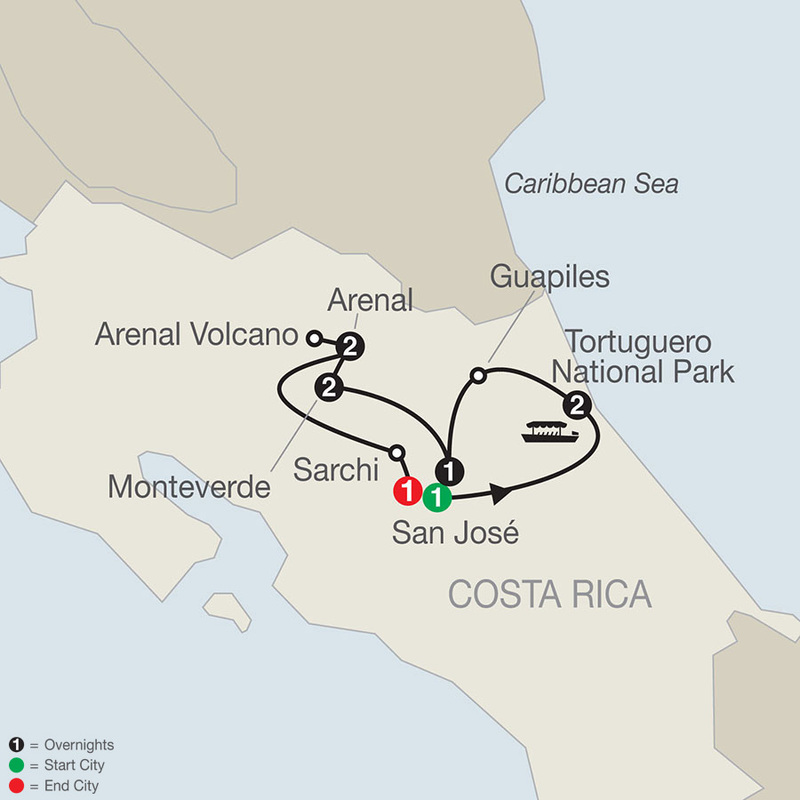 DAY 4 TORTUGUERO NATIONAL PARK–GUAPILES–SAN JOSÉ. The Park Inn Radisson is conveniently located in the heart of San Jose within walking distance of the well-known Paseo Colon, the city's main avenue. The hotel features 117 comfortable guestrooms equipped with complimentary wireless internet, outdoor pool, and on-site bar and grill.